This is a summary of my 2011 China trip (December 31, 2010 to February 1, 2011), with names of contacts there. See China 2011 papers and presentations for links to the papers and slides. My trip inspired a flurry of reading about China. You can see some of the books I’ve been reading in my online library catalogue. A major purpose of this project is to foster a sustainable intellectual community with China around community inquiry (Bruce & Bishop, 2008), an emerging field of investigation and practice concerned with inquiry conducted of, for, and by communities. Community emphasizes support for collaborative activity and for creating knowledge, which is connected to people’s values, history, and lived experiences. Inquiry points to support for open-ended, democratic, participatory engagement. Community inquiry is thus a learning process that brings theory and action together in an experimental and critical manner. A special focus within community inquiry relates to the use of information and communication technology (ICT). Much of this work is done with youth, who represent the future of any nation, and can develop creative solutions to community needs. 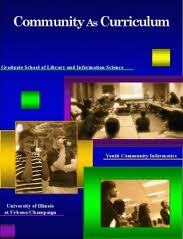 Youth Community Informatics (Bruce & Lin, 2009, Ritzo, Nam, & Bruce, 2009) is a Library and Information Science initiative in this direction at the University of Illinois. This interdisciplinary work could be significant for rapidly changing China, especially in terms of the role of new technologies, design for the 21st century university (Benson, Harkavy, & Puckett, 2006), and China’s changing relations with the US and the rest of the world. I’m especially interested to learn how schools, universities, and communities in China are addressing similar issues there. 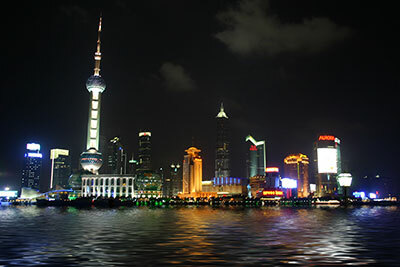 We left on December 31 and arrived in Shànghǎi on January 1. I first met with Qian Haiyan and Xu Dongqing at Fùdàn Dàxué to learn about their project in Guizhou Province as well as their work in the Shànghǎi schools. On Saturday, I presented a paper for a conference there, “The Role of Philosophy in Education and Educational Research,” to be held on January 7-9. The paper, “Finding Common Ground: A Theory of Community Inquiry,” addresses some of the definitional questions related to community inquiry. 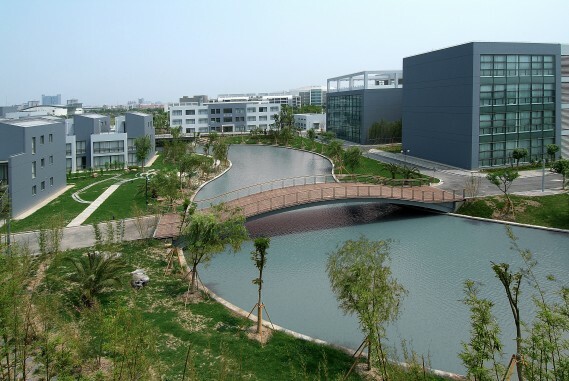 The project’s goal is to enable Fudan University’s School of Philosophy to establish philosophy of education as a discipline in China and to philosophically inform Chinese educational research and policy. Fùdàn is working to shape a scholarly tradition in China, a new philosophy of education, one that will have its own association, journals, and graduate program. I’m also planning to attend a conference at Huá Shī Dà following the one at Fùdàn. It’s “Philosophical Reflection on Education Reform,” to be held on January 9-11. My contacts there are Huang Zhongjing and Yang Xiaowei. My paper on January 11, “The Community is the Curriculum: A Model for Education Reform,” applies community inquiry theory to the specific example of Urban Agriculture in the Context of Social Ecology from Paseo Boricua. On January 12, I met with Zhang Hua, Director of the Institute of Curriculum and Instruction and Chair of the International Association for the Advancement of Curriculum Studies (IAACS). I presented on ““The Community is the Curriculum” to him and his students. After Shànghǎi, I went to Níngbō Dàxué (Zhegiang Province) for three days. There I presented again on ““The Community is the Curriculum,” and met with Xu XiaoXiong, who was a Scholar-in-Residence at GSLIS in 2009-10. Later, we went to Tianyi Pavillion (Tian Yi Ge), the oldest library in Asia, and one of the most beautiful libraries I’ve ever seen. We spent the next day at Zhenhai Middle School, one of the most beautiful schools I’ve ever seen. We then went to Zhèjiāng Dàxué in Hángzhōu for talks, and more discussions with Zhang Jianping, Yan Li, and their students. After the flurry of university meetings, we traveled to Yúnnán Province for about a week, staying first in Kūnmíng at 云南大学 (Yún​nán​ Dàxué). Then we went to stay at 悠然台 Yourantai in 景洪Jǐnghóng, Xīshuāngbǎnnà (also known as Bǎnnà). After that we returned to Shànghǎi for a few days, and then back to Urbana. Finding Common Ground: A Theory of Community Inquiry [寻找共同的基础：社团探究理论], for the conference, “The Role of Philosophy in Education and Educational Research,” to be held at Fùdàn Dàxué on January 7-9. The paper addresses some of the definitional questions related to community inquiry. Response paper, Qian Haiyan. The Community is the Curriculum: A Model for Education Reform, for the conference, “Philosophical Reflection on Education Reform,” to be held at Huádōng Shīfàn Dàxué (East China Normal University) on January 9-11. The paper applies community inquiry theory to the specific example of Urban Agriculture in the Context of Social Ecology from Paseo Boricua. Each of these slide sets were created using Keynote (.keynote), but I’ve included versions in .pdf as well. Benson, Lee; Harkavy, Ira; & Puckett, John (2006). Dewey’s dream: Universities and democracies in an age of education reform. Temple UP. Bruce, Bertram C.; & Bishop, Ann P. (2008). New literacies and community inquiry. In J. Coiro, M. Knobel, C. Lankshear, & D. Leu, (eds. ), The handbook of research in new literacies (pp. 699-742). New York: Routledge. 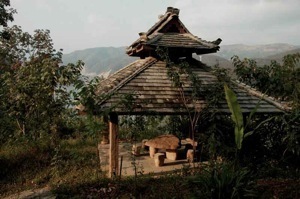 Bruce, Bertram C.; & Lin, Ching-Chiu (2009). Voices of youth: Podcasting as a means for inquiry-based community engagement. E-Learning, 6(2). Ritzo, Chris; Nam, Chaebong; & Bruce, Bertram C. (2009, Summer). Building a strong web: Connecting information spaces across communities [Special issue on school media and Information science]. Library Trends, 58(1), 82-94. Probably not, although access to WordPress and other blog services seems to be intermittent. You should be able to access it through a VPN, such as one hosted by a US university. Also, you could post to the blog using email. One thing you can’t count on is for people in China to be able to read it. Chip do you know if I will be able to access my wordpress blog in China?